How the black sheep of the Discovery media family, true-crime network ID, finally cracked the ratings case. No amount of gumshoeing could have predicted that the new iteration, Investigation Discovery, would be an instant hit. For two years, it has billed itself–with gusto–as “America’s fastest-growing network,” and the numbers bear it out. When the channel debuted in 2008, ID ranked No. 55 in cable ratings for women ages 25 to 54; in total, it was in fewer than 60 million homes. Through February 2012, it has jumped to third in that demo and added more than 30 million new subscriptions. While Discovery Times drew 80,000 daily viewers, ID gets more than 470,000. Leading the charge has been its marquee newsmagazine, On the Case With Paula Zahn. The architect of this salvage job is Henry Schleiff, the former CEO of Court TV who transformed that property, worth $300 million in 1998, into a powerhouse that sold to Time Warner for $1.5 billion in 2006. Among those who took note of his success was David Zaslav, the CEO of Discovery. Zaslav had already decided to move Discovery’s woebegone network toward investigation: Based on the success of 1990s shows such as Discovery Channel’s The New Detectives–the inspiration for the CSI franchise–and TLC’s Medical Detectives, he knew there was a market for crime and mystery fare. He just needed someone who could turn a genre into a network. Schleiff fit the bill. He joined in mid-2009 and quickly made two decisions that steered the network on its current course. The channel now called Investigation Discovery went through some phases before everything clicked. On August 1, Discovery Communications announces the creation of a new channel: Discovery Civilization. The network, which focuses on ancient cultures, makes its debut in October alongside five other niche stations. The New York Times Co. invests $100 million for a 50% stake in Civilization, with an eye on using it as an outlet for documentaries about current events. Ancient-culture enthusiasts presumably weep. annual obituary feature–and a September 11 anniversary special. 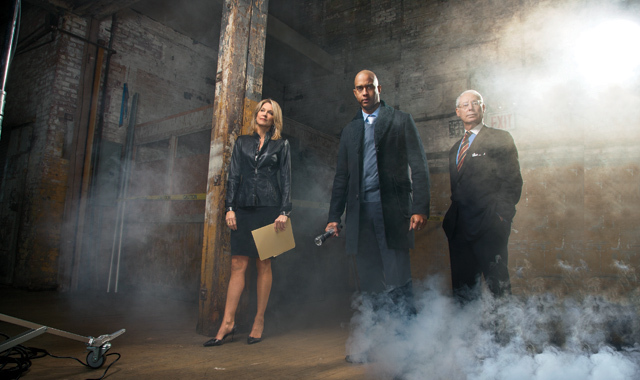 Though ID launched in 2008 with reruns of The New Detectives and the like, the intent was to rapidly fill its programming blocks with original content. Realizing that ID could get heaps of it by updating episodes of established properties, Schleiff worked with former colleagues to license the top three newsmagazine shows–CBS’s 48 Hours, NBC’s Dateline, and ABC’s 20/20–which debuted alongside On the Case in the fall of 2009. The trio of blue-chippers aired on ID with new intros and fresh takes on the subject matter. All were branded “on ID,” as in Dateline on ID, with nary a mention of their provenances. The licensing moves helped build ID’s identity and gave viewers familiar titles and faces to get them hooked. What enables ID to fill its schedule with unique content is the inexpensive nature of its programming. ID shows capitalize on their viewers’ affinities for reality TV and crime dramas, and most contain a mix of low-cost reenactments; unpaid interviews with crime victims, their families, and incarcerated prisoners; and commentary from experts who aren’t as pricey as, say, David Caruso. The shows range from investigative and newsy with On the Case and the hate-crime-focused Injustice Files to the melodramatic, campy, and even cheesy with Who the (Bleep) Did I Marry? and Deadly Women. Across the board, viewers are eating it up. “The viewership jump is pretty huge,” says Derek Baine, an entertainment analyst at SNL Kagan, who notes that demand has forced cable companies to move ID to their basic packages. “As its current deals expire [over the next two years], Discovery will be able to raise licensing fees with providers, based on ID alone.” At present, ID costs cable providers $0.08 per subscriber each month. If the $0.18 fee of a comparably rated network such as TLC is any indication, that could lead to an extra $95 million annually for Discovery. Great as that may be, Schleiff is still focused on the home front. In his first job interview with Zaslav, he said he could make ID a top-five cable channel. Nothing has happened since to make him think otherwise. “We’ve done very well,” he says, “but there are still networks ahead of us I think we can surpass. I sincerely believe we will get to 100 million subscribers; we will be ahead of TNT, TBS, USA, and Lifetime within our target audience.” The goal is ambitious, but it’s not off target. “Based on their ratings growth over the past four years, they can be a major player,” says Baine. Good for the network, bad for Zahn’s cello career. Zahn’s vehicle helped ID break out and is now its flagship. The deceased provide narration in ID’s current top program. Beauchamp’s hate-crimes show has prompted the FBI to reopen cases. A mix of levity and nuptial no-nos is serving the station well.